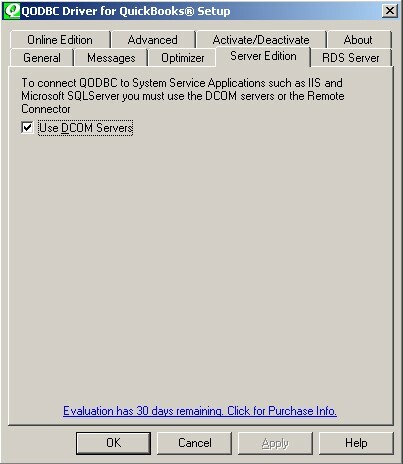 Note: QuickBooks is running on the server console. 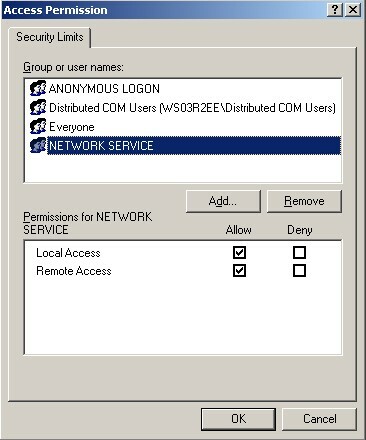 Add this folder and give full rights to the NETWORK SERVICE account. 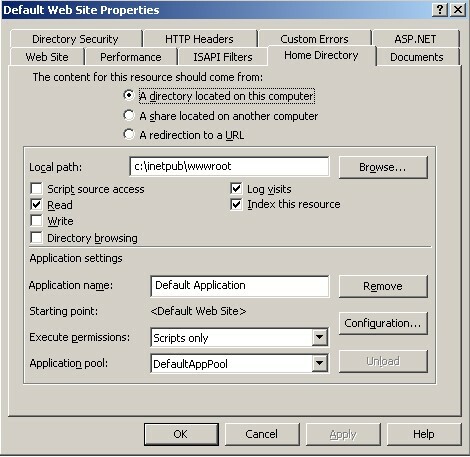 This is where trace files and optimizer will go. 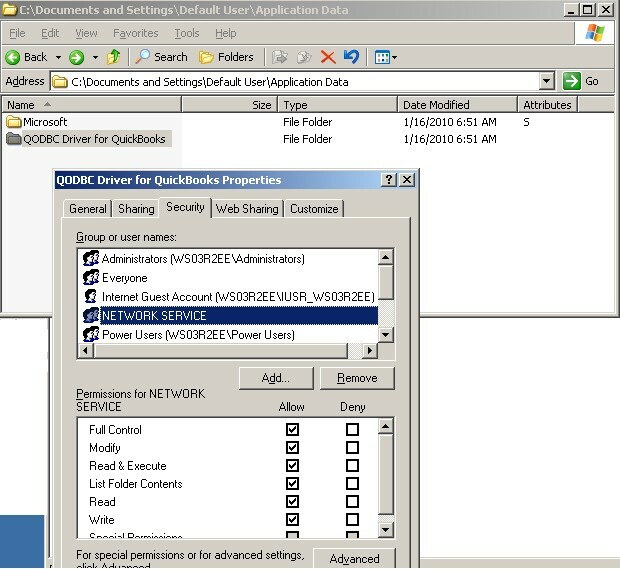 Edit Access Permission -> Edit limits. 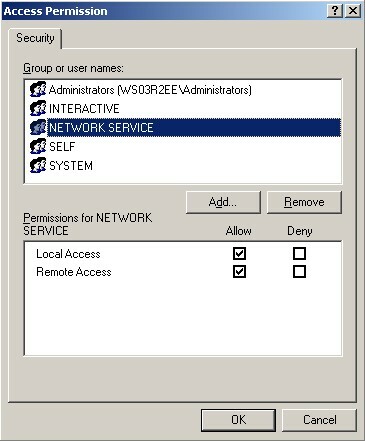 Give full permissions for NETWORK SERVICE. 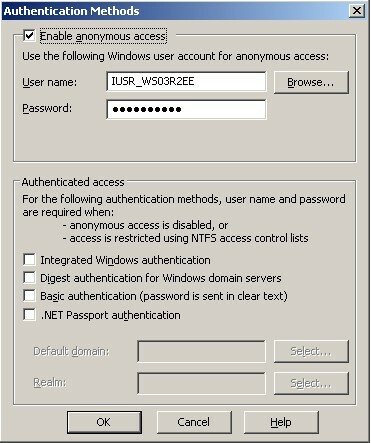 Edit Access Permissions -> Edit Defaults. 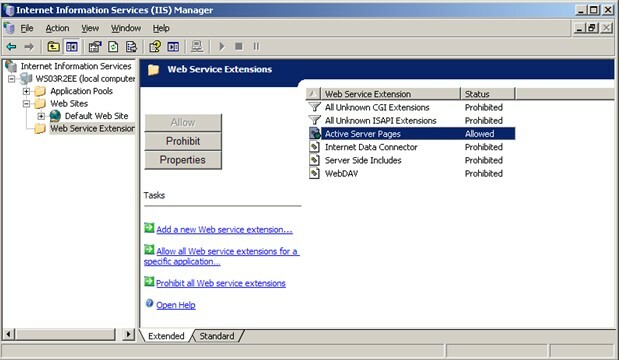 Give permission for NETWORK SERVICE Local Access. 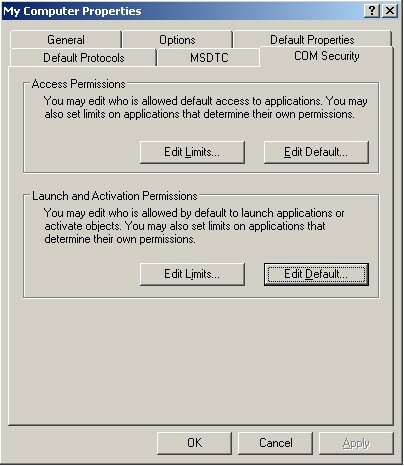 Edit Launch and Activation Permissions -> Edit Limits. 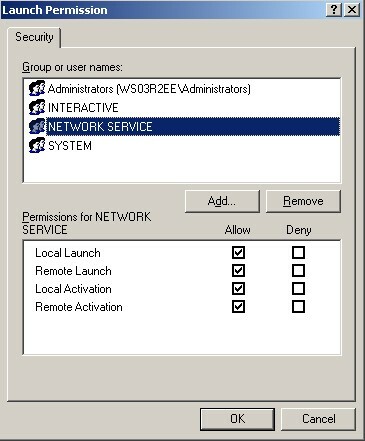 Give permission for NETWORK SERVICE Local Launch and Local Activation. 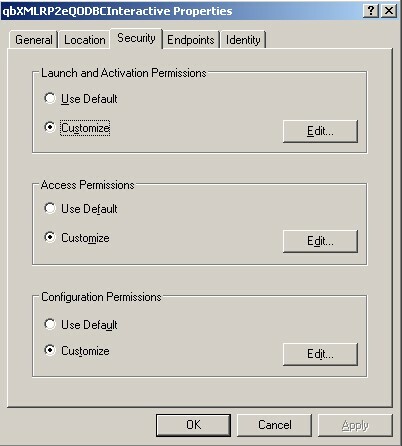 Edit Launch and Activation Permissions -> Edit Defaults. 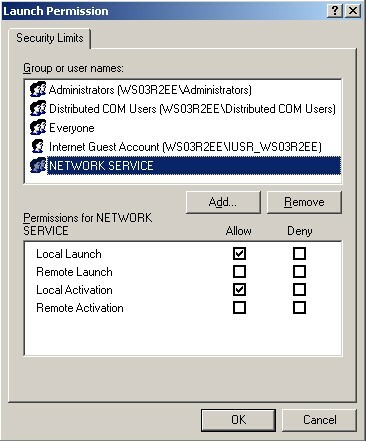 Give full permissions for NETWORK SERVICE. 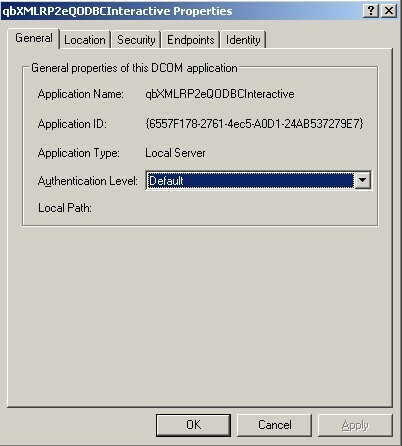 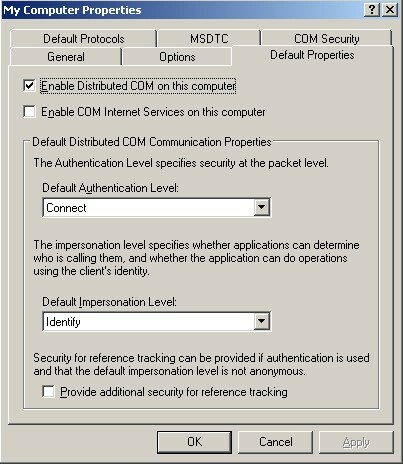 In the General Tab of qbXMLRP2eQODBCInteractive Properties, setup Authentication Level as "Default". 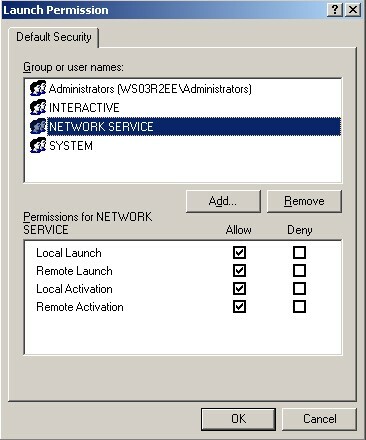 Select Customize option in Launch and Activation Permissions -> Edit, give full permissions for NETWORK SERVICE. 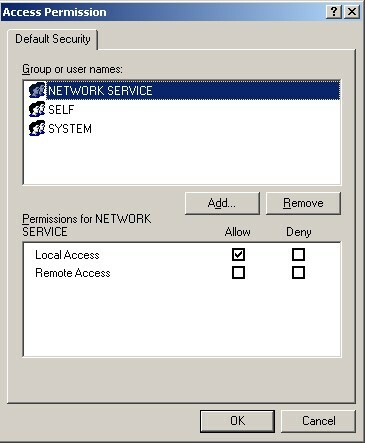 Select Customize option in Access Permissions -> Edit, give full permissions for NETWORK SERVICE. 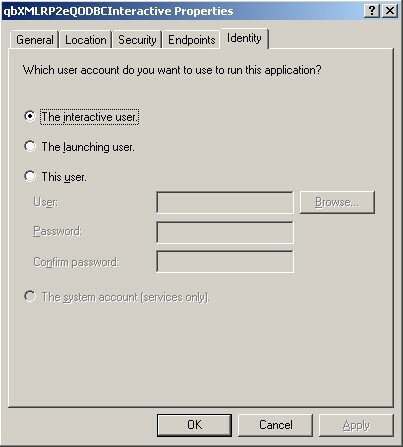 In Identity Tab, select the "The Interactive User" option.